If you're an avid Disney fan like me, I'm sure you are aware of every Disney collaboration going, whether that's Cath Kidston, Pandora, Kate Spade and of course Coach, the list goes on! 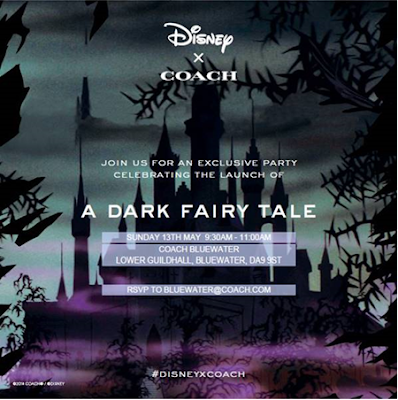 After the success of Coach's Mickey Mouse range, they are back today with their Dark Fairy Tale range and thanks to my sister we got to preview some of the new collection at their Bluewater store. This collection is Disney but dark. As is with every Disney tale that is a dark side to each story and that is what this collection encapsulates. With the focus on Snow White and the Seven Dwarfs and a little bit of Sleeping Beauty thrown in, these are the darkest of the Princess fairytales so the collection works perfectly. This was just a snapshot of the collection, there are some other beautiful pieces available to buy today. Every piece is limited so be quick and head to your nearest one. As a thank you for coming we were each given a personalised gift bag with some truly lovely gifts. The personalised tag really made the event feel special and I was delighted to get the opportunity to come. I also left with one of the pieces from the collection that I had quickly fallen in love with and that was the Dark Disney Happy cross body bag. Definitely one of the less 'dark' pieces from the collection, but I just had to have it. 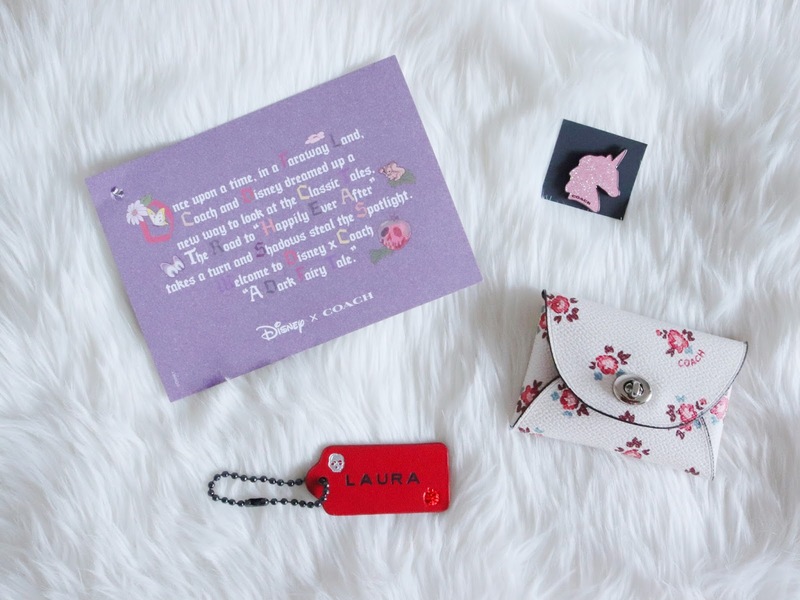 You can have one of each of the seven dwarfs on a different designed cross body bag and they are my favourite pieces from the collaboration and they also have the Disney x Coach Fairytale on the inside which was an extra special touch. I would like to thank the team at Coach Bluewater for a brilliant event. They were incredibly welcoming and the breakfast spread provided went down a treat especially with my nieces. Oh my gosh this is such a stunning collection <3 Very envious of your new bag right now, wow!! !